One of the best things about winter, especially in Scotland, is the pubs. Always a boozy affair filled with banter and a cracking fire, there’s no better way to spend the last part of the year and colder months. 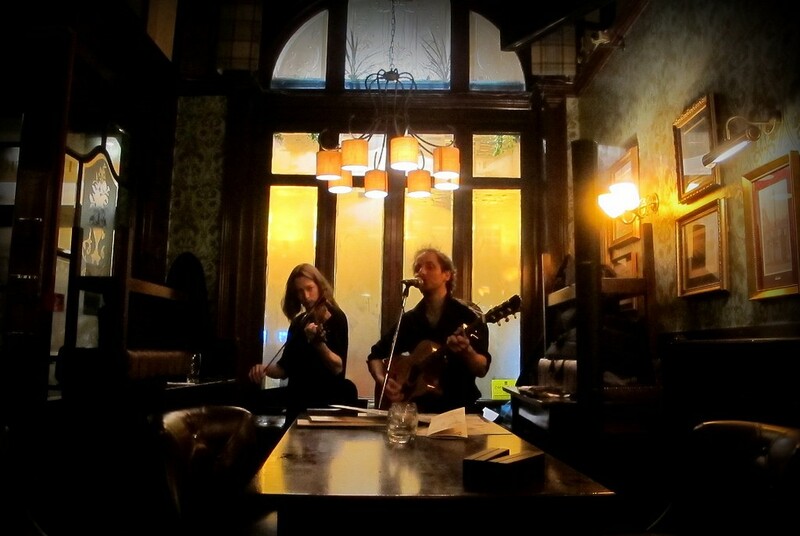 Culture Trip has been on a mission to find the cosiest pubs in Edinburgh. From snug to traditional, discover our guide. We’ll cheers to that! A Victorian café and bar overflowing with character and charm, Nobles is the kind of place you want to keep coming back to. There are plenty of different sized tables and seats for all the gang, with the glamorous leather sofas being the prime spot. The festive menu is a stunner, the stained-glassed windows captivating and the informal atmosphere welcoming; not to mention the live bands, which are always a hoot. You’ll be dancing on the tables before you know it. Perhaps Edinburgh’s oldest surviving pub, the Sheep Heid Inn oozes personality and unprecedented charm. Situated in Duddingston, this wee drinking den is beautifully restored and remarkably serene. From the picture-perfect fireplace to the overall cosy vibe, this is the kind of spot to kick back, warm up and relax. Expect fantastic are the seasonal pub food and real ale from this exclusive pub, which is famed for being frequented by a myriad of poets and ancient monarchs back in the day. 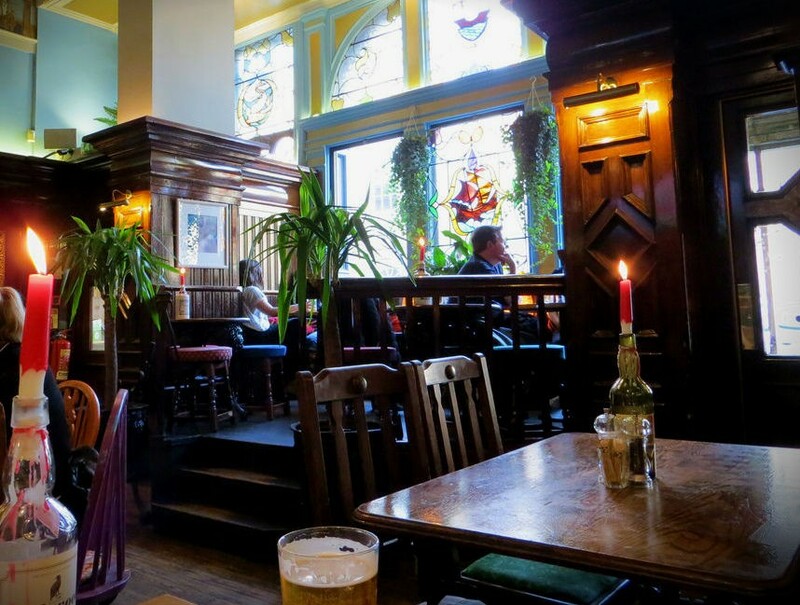 An absolute cracker of a watering hole, The Canny Man’s in Morningside is overflowing with an abundance of character. Serving the good folk of Edinburgh since it was established in 1871, this pub still has its original bars and sports an intriguing array of furnishings, unique antiques and quirky décor. With copious amounts of cosy cubby holes, top notch banter, great food, and plenty of booze options, you can’t go wrong with this delightful alcohol-infused cabinet of curiosities. A boozy utopia and all you could ever desire in a drinking den, The Doric dates back to the 17th century and is said to be Edinburgh’s oldest gastro-pub. Don’t let the compact square footage and peaceful nature of this spot deceive you, it’s one of the liveliest pubs in town. From the knowledgeable bartenders, smashing beer and whisky selection, to the tiny wee tables, the atmosphere is wonderfully cheery and overflowing with banter. 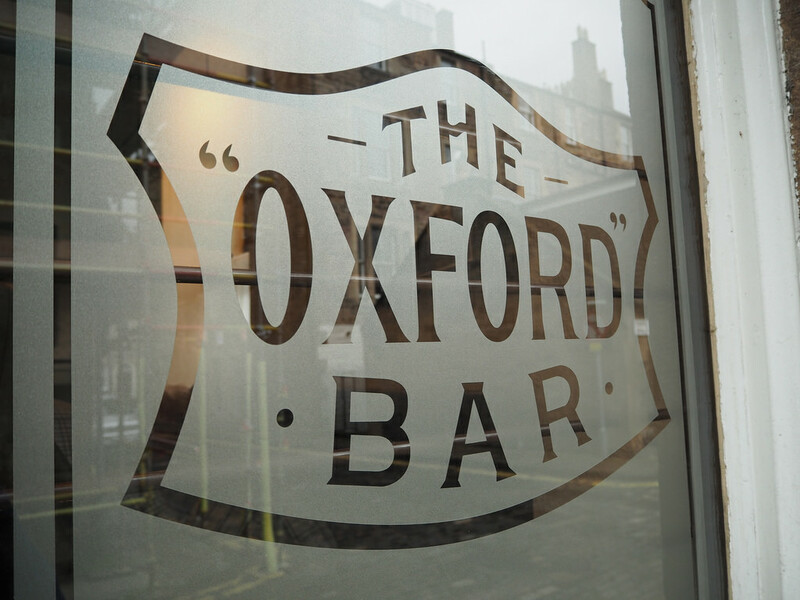 Thanks to revered Scottish author Ian Rankin and his Inspector Rebus novels, the Oxford Bar receives endless amounts of attention from locals and visitors alike. As Rankin’s favourite hangout, it’s no surprise that he paid homage to it in his books. Devoid of airs and graces, this pub is simple perfection. A known hotspot for writers, head on over and reap the benefits of inspiration. All in all, a smashing spot for a pint and unfathomable people watching. 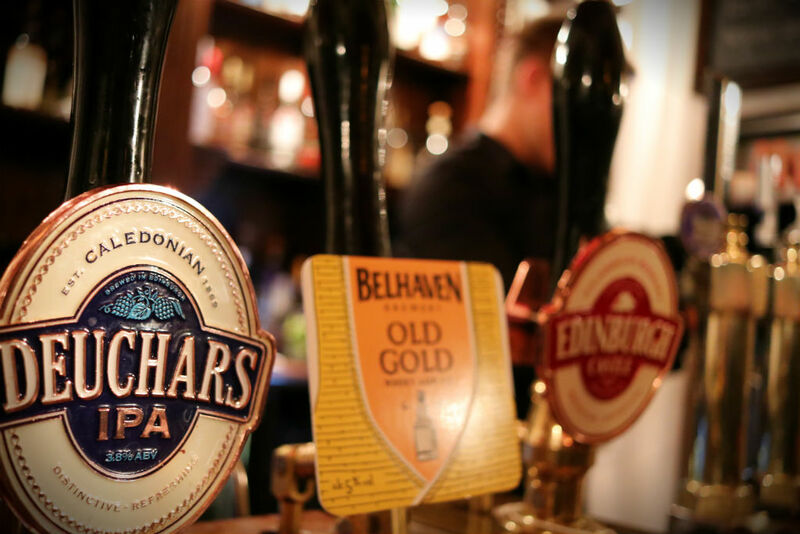 Unfazed and exceptionally appealing, The Royal Oak is a shining example of a traditional Scottish pub. Terrifically tiny, punters can expect to feel as snug as a bug in a rug. Once more, this veteran watering hole has quite the reputation for hosting live traditional folk and acoustic music every single night of the week. This is the perfect pick for those desiring classic historic pub vibes and off-the-scale banter. 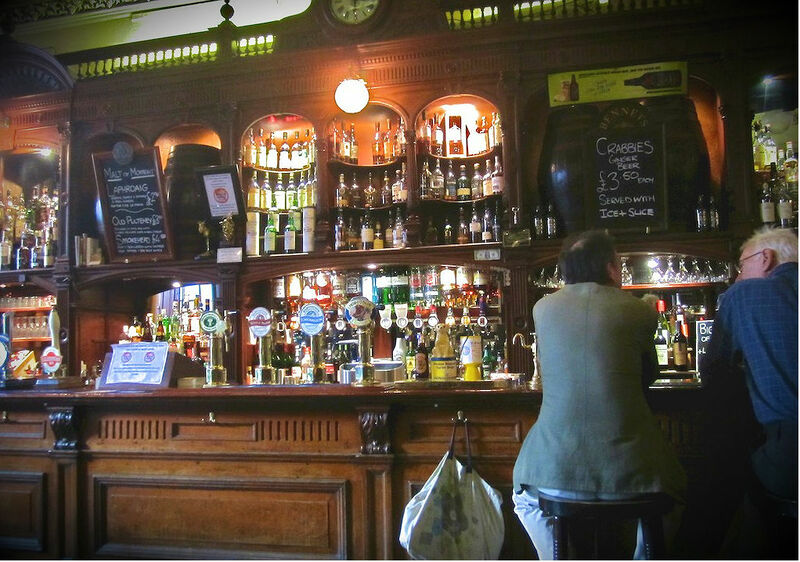 A wise old pub, Bennets Bar has witnessed a loyal following of drinkers since its opening in 1839. Established as a sister to the King’s Theatre, don’t be surprised to bump into a myriad of actors and like-minded arty folk. From sumptuous cask ales and malt whiskies, to an exceedingly appealing menu, what’s not to love? Oh, and this dynamite drinking institution is off the charts when it comes to cosy. Numerous comfy red leather sofas surrounded by a maze of alluring stained glass, stunning mahogany furnishings and hip circular map-adorned tables, consider Bennets a must-visit spot and true diamond in the rough.